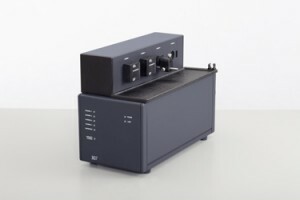 The 322 Auxiliary Pump is used as the wash pump for the 311 XYZ Sampler; however, even if you do not have an Astoria or Astoria2 analyzer, the 322 can be used as a standalone 2-channel peristaltic pump for other uses in your laboratory. 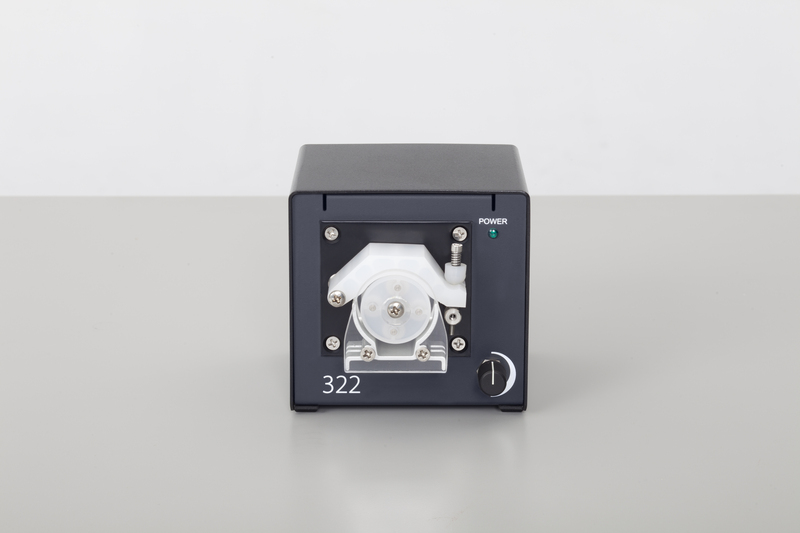 The 302D is a peristaltic pump with 36 pump tube positions, with an option to upgrade it to 42 pump tube positions. This pump can be computer controlled, allowing the operator to adjust pump speed as well as making use of some of the timed-events features of FASPac2. The 303A module is the base for your analytical cartridges. 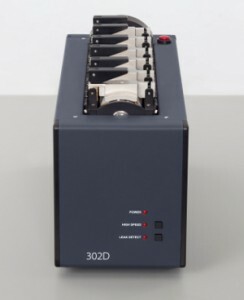 The 303A can be fitted with heat bath controllers that have easy-to-use touch-button controls for methods that require reactions to occur at above room temperature. The 307 Detector has been designed with versatility in mind. 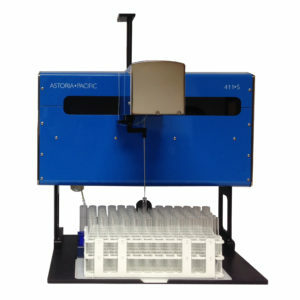 Its compact frame can house any combination of up to four photometric and/or fluorometric detectors. With the FASPac2, data acquisition software, the operator can run two 307 modules together, thereby allowing an option for additional channels (up to 6). The operator has access to one analog input port for a peripheral detector (i.e. UV, Flame or analog 321 Fluorometer). The 307 Detector can be configured to be a single or multiple-channel detection system, making it easy to upgrade existing systems in the field. 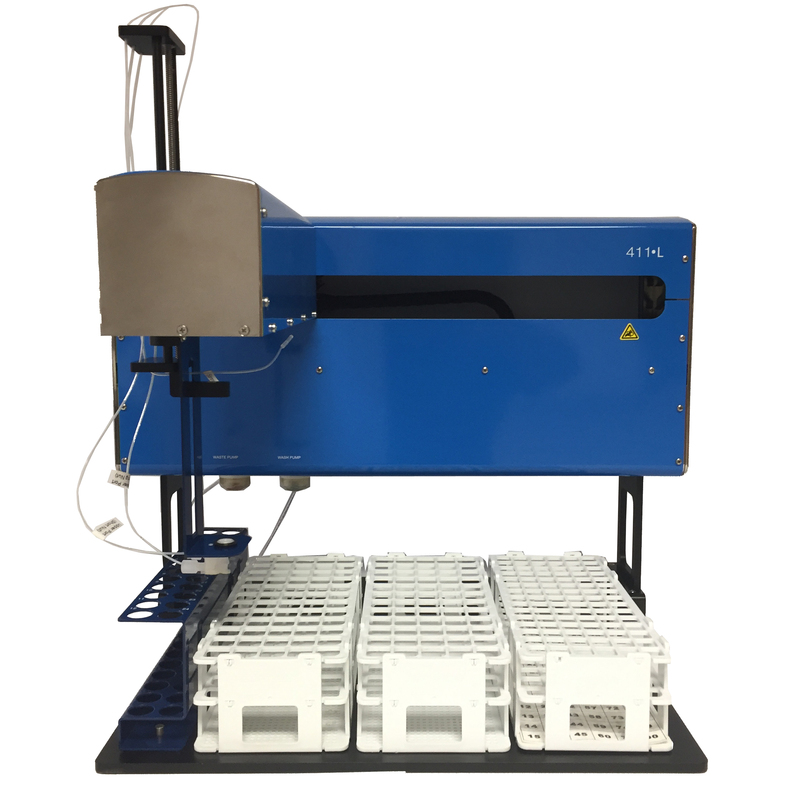 A number of industries will also benefit from the 307’s compact design; for instance, Oceanographic laboratories (Estuary labs especially) can choose a selection of Astoria-Pacific Fluorometric tests that eliminate refractive index issues. Meanwhile, food production facilities will be able to purchase an inexpensive system for vitamin analysis, which can be considerably faster than HPLC. The optional 412 Diluter Module is an optional unit designed to run with with 411 and 311 XYZ Samplers. Samples with concentrations above the calibration range can be re-run with user-defined parameters. The operator can have the 412 create standards/calibrants on-line with the assistance of the CALIBRATION WIZARD feature in FASPac2. The optional 315 UV/Vis detector uses either a deuterium lamp or tungsten lamp to measure UV or Visible wavelengths respectively. This detector is a good choice for Breweries monitoring Bitterness (in UV configuration plugged into an Astoria or Astoria2). The 321 Fluorometer is an analog detector, which can be plugged into the input port on the 307 or Astoria2. 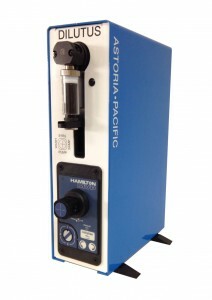 The 321 was primarily used in Astoria-Pacific’s Newborn Screening market before it was replaced by the 307 digital fluorometer. 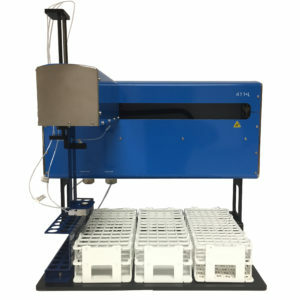 These older 321 modules are available for purchase for fluorometric assays until supplies last. 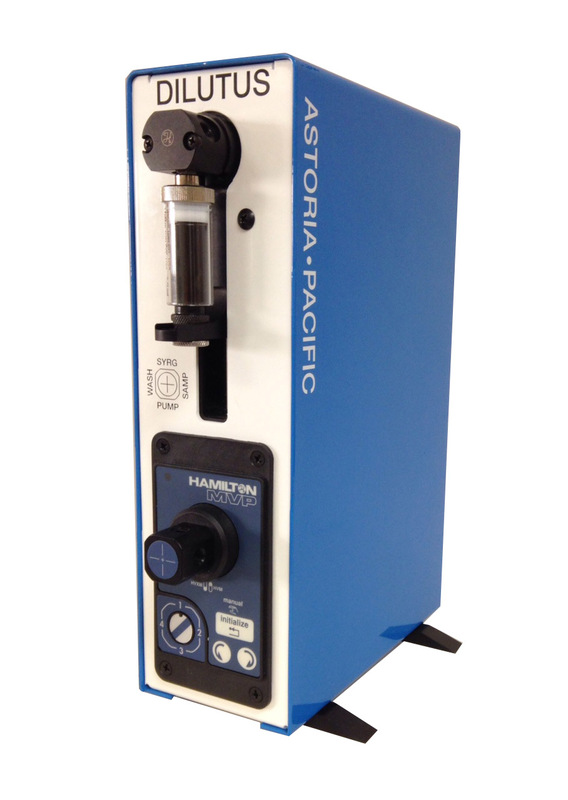 When plugged into a 307 or Astoria2, the 321 can be used for Beer, Seawater, Vitamin, Histamine and other analyses requiring fluorometric detection. Please contact an Astoria-Pacific representative regarding which fluorometer might work best in your laboratory. Plug-in the optional 309 Flame Photometer for such Agricultural tests as Calcium, Potassium and Sodium.